The week of Oct. 22-27 is going to be a hard one. Hard, that is, if you aren't up to a week of events featuring beers from Deschutes Brewery. Deschutes is (finally) recognizing Albuquerque as a viable beer city and is bringing their Base Camp here next week. Base Camp is comprised of beer-related events held at bars and restaurants all over Albuquerque, many featuring Woody (pictured), Deschutes' beer barrel on wheels. These events are not designed to be "all the Deschutes you can drink" events, so don't show up with pretzel necklaces and big, stupid hats. Rather, these events are designed to educate about craft beer (as well as get you to buy more Deschutes beer...let's be real here). Lots of fun stuff will be going on, so I'm just going to reprint the list sent to me by the Deschutes folks. I will keep you updated on any changes or additions to the list. To kick off Deschutes Brewery’s Base Camp week in Albuquerque, Seasons Rotisserie and Grill is debuting the brewery’s new Chainbreaker White IPA for its launch in New Mexico. Come down to sip on a bit of this thirst-quenching hopped-up wit beer with enough IBUs to warrant the IPA name. Also available? The craft beer fanatic’s cornerstone brew Mirror Pond Pale Ale and the brewery’s flagship ale, Black Butte Porter. A giant traveling beer barrel named Woody, good beer and good company. Not bad for a Monday. Attention homebrewers…come hone your craft with the gang from Oregon’s Deschutes Brewery and local favorites La Cumbre Brewing. The Deschutes crew, including one of its brewers, David Brendgard, is heading to Albuquerque for Base Camp Week and will be giving away complimentary brewing supplies including clone recipe booklets and bags of malt to use in your next homebrew.Deschutes’ Brendgard and La Cumbre’s Jeff Erway will be available for a formal Q & A session, as well as a Brewers’ Happy Hour from 5 – 6 PM. Take advantage of this opportunity to uncover some mysteries! O’Niell’s will be creating a special menu, pairing culinary samples with one beer from each brewery. Try something new in your next home brew. $20 gets you in the room. $15 for all AHA members. Hope to see you here! You know you’ve been there: jealously inspecting a friend’s home kegerator while at a birthday party or game day gathering. Why not make your own and become the talk of your neighborhood? Beer drinking, beer pouring and beer making experts from Oregon’s Deschutes Brewery will be on hand to provide some finely balanced discussion of these important issues. Have a chat with them (they are here from Oregon for “Base Camp Week”, an event created just for beer fanatics) while sampling some beers like Mirror Pond Pale Ale, Black Butte Porter, Chainbreaker White IPA, Jubelale, and more. The brewery will be giving away some swanky swag, so come down and join us. At Oregon’s Deschutes Brewery, they know the time is always right for ladies night. That’s why they’re throwing a party just for women who love beer (and for the men who love women who love beer). Four locally produced Old Windmill Dairy cheese samples will be deliciously paired with four beers: Mirror Pond Pale Ale, Black Butte Porter, Chainbreaker White IPA and Obsidian Stout. Sample flights are only $10, plus you’ll get some special house-made ice cream to boot. Can’t go wrong! We’re jubilant about celebrating craft beer like Deschutes Brewery’s most excellent winter seasonal, Jubelale, paired with locally made sausage from Joe S. Sausage. But Jubelale isn’t the only brew we’ll be celebrating with – try other favorites from Deschutes Brewery like Mirror Pond Pale Ale, Black Butte Porter, and Chainbreaker White IPA. This beer dinner will be so damn good, it’s downright scary! Join Deschutes Brewery for a Halloween-themed evening of delectable dishes paired perfectly with a wide selection of craft beers. Call 505.266.4455 to make your reservations today, and check back for menu items soon. Oregon’s Deschutes Brewery is in town for its craft beer celebration, Base Camp Week. What better way to throw a party than by teaming up with local Old Windmill Dairy for some scrumptious beer and cheese pairings? The brewery will be sampling brews like Mirror Pond Pale Ale, Black Butte Porter, Chainbreaker White IPA, Jubelale, Obsidian Stout and Inversion IPA. 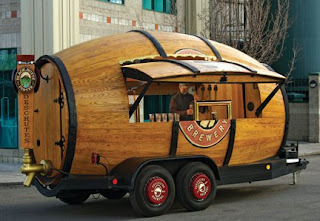 Deschutes is coming armed with awesome giveaways and a ginormous giant traveling beer barrel – Woody. Not only do you get to try some tasty food paired up with beers from Deschutes Brewery at this special event, but you’ll learn how to cook several recipes using beer. In addition, discover how to design your own beer dinner to try out on unsuspecting guests at your home during Happy Hour from 5 - 6 PM. A stellar lineup of beers will be available for tasting such as Mirror Pond Pale Ale, Black Butte Porter, Chainbreaker White IPA, Jubelale, Obsidian Stout, Inversion IPA, Hop Trip and Chasin’ Freshies. A minimal fee will be charged for entry. Hey all you ghosts, ghouls and goblins, it’s time to don your scariest costumes and join Oregon’s Deschutes Brewery for a frighteningly good Halloween party. Party goers can imbibe some Chainbreaker White IPA on draft and bottles of Mirror Pond Pale Ale and Jubelale, while the Dusty Low Band busts out the jams.